UMP | University of Minnesota Press Blog: Prism leak reminds us to be critical of the seemingly essential—but risky—tools we use every day. Prism leak reminds us to be critical of the seemingly essential—but risky—tools we use every day. If leaked information about the surveillance program Prism is correct, the U.S. government is treating every citizen of the world as a potential terrorist. If the sign of a true democracy is that even the rights of the criminal, the foreigner and the dissenter are respected, what does that say about a system that violates everyone’s rights because they could be potential threats to the system? We should begin by trying to understand why something like Prism exists today. It is not because all other options to make this a safer world have failed. It is simply because certain kinds of information have become extremely inexpensive and profitable to collect. Intelligence agencies have borrowed algorithms and models from the corporate world--sometimes collaborating with them directly, in a perfect marriage of surveillance, fear, and profit--and applied them at a global level, collecting and analyzing vast amounts of what they claim is “only” metadata (data about our actions, but supposedly not the actual content of our electronic interactions with others). The reasoning is that if person X turns out to be a troublemaker, records of his or her exchanges with others might prove useful. The problem is the notion that in order to be able to go back and examine those records, authorities need to collect all the records from every single individual, which, for the first time in history, is relatively cheap and easy to do. Because technology makes mass surveillance of this sort possible, the government has assumed it has the right to make it possible. The illusion (yet unconfirmed) that this data can make us safer has proved too strong to resist, and in the process the very rights that define a democracy have been suspended. To be fair, the battle over “casual” surveillance (which metadata collection represents) had already been lost long before Prism. We all played a passive part in it through our technophilia and careless consumption. The leaked information about Prism may have confirmed the worst fears of the conspiracy theorists among us, but despite the outrage, I imagine I am not the only one who feels unable to stop voluntarily contributing to the invasion of my own privacy. Sure, I have managed to avoid Facebook, despite the jokes and accusations that doing so is irresponsible of me. But can I do without Google, which if nothing else is my employer’s “free” provider of email and other IT products? Can I do without the convenience of a smart phone and GPS? Furthermore, the battle has also been lost at the cultural level. While flipping through channels in a UK hotel, I see a show in which teenagers are secretly recorded while they drive around committing minor infractions. Why would they and their parents consent to have their follies broadcast to the whole wide world? For the 15 minutes of fame and for the entertainment value, I suppose. Plus, I bet the show’s producers argued that monitoring and exposing teenagers this way can deter others and make our roads safer. It’s a much more benign version of 1984. 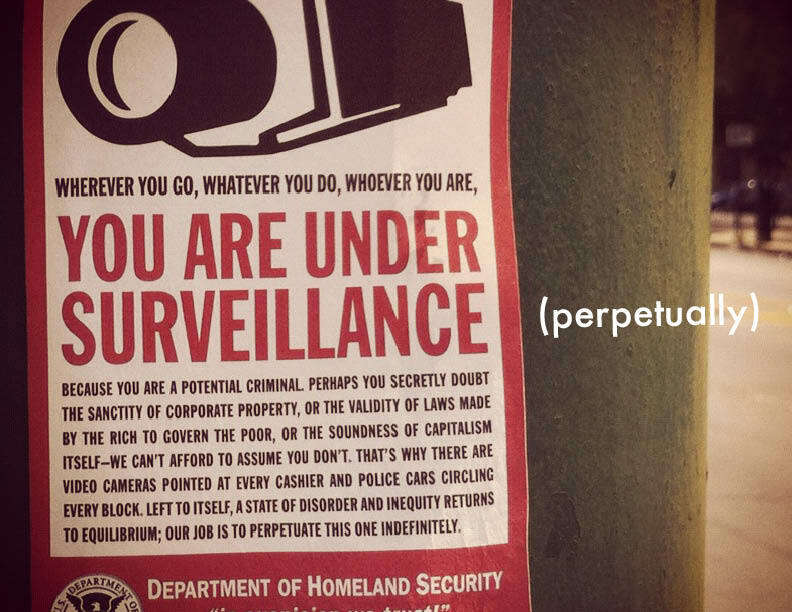 Thus, the project of surveilling oneself (with the help of corporations, authorities, and the media) turns out to be voluntary, compulsory, and for the greater good. The rationalization is that if you are not doing anything (excessively) wrong, why should you mind if the government collects data that you yourself agreed to have collected by a company when you impatiently scrolled down and clicked the “I accept” button on the Terms of Service page? The kind of breach that Prism constitutes goes beyond these rationalizations, however. Unfortunately, instead of taking the architects of Prism to task, what we can expect from the mainstream media is a regurgitation of news releases about which politicians and which CEOs can deny involvement in, or knowledge of, the program. 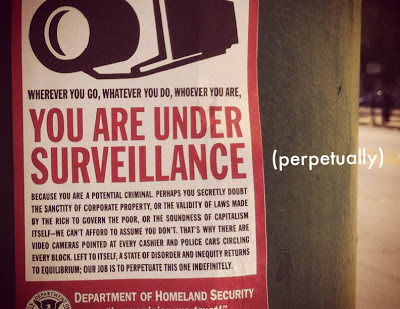 Will the larger question of the legality of Prism and the responsibility of citizens to react to this increased level of surveillance remain marginal, or gain momentum as people consider whether in fact to turn against the corporations and authorities that betrayed their trust? I think it’s more complicated than simply closing our Facebook account and putting away our Yes We Can posters. Because of this, and because digital networks can be powerful tools, the point is not to reject them but to develop a more critical and selective attitude towards them. As I argue in my open access book Off the Network, we must begin from the understanding that as digital networks increase opportunities for civic and social participation, they also increase opportunities for exploitation, surveillance, and alienation that contribute to already widening inequalities. Thus, we must figure out which digital networks to join and which ones to abandon after they have served their purpose; we must figure out when to reject a social media product and when to intensify the social possibilities it allows us to imagine, making the tool itself eventually obsolete. This would require a more vocal and demanding consumer, a more critical Internet user, and a more engaged citizen. It might seem too much to expect from those who have been merely watching recent revolts from afar. But if under Prism everyone is treated like a subversive, perhaps more people will be radicalized into behaving like one. Ulises A. Mejias is author of Off the Network: Disrupting the Digital World and assistant professor of communication studies at the State University of New York, College at Oswego. "This is an extraordinary book. The ‘paranodal’ critique made in Off the Network demands that we look both at the social spaces that lie between, and are ignored by, network nodes; at the material basis on top of which supposedly immaterial networks rest, and at the vertical structures of political economic power that control the apparent horizontality of networks. In doing so, Ulises Ali Mejias delivers a devastating intellectual slam against conventional thinking about the Internet from both the left and right." "Off the Network shows us that centralization of online services is not accidental. Take a look behind the social media noise and read how algorithms condition us. Mejias carves out a post-affirmative theory of networks. No more debates about whether you are a dog or not. Identity is over. Power returns to the center of internet debates. Off the Network disrupts the illusion of seamless participation and sides with the resisters and rejecters. The book teaches us to unthink the network logic. His message: don’t take the network paradigm for granted."